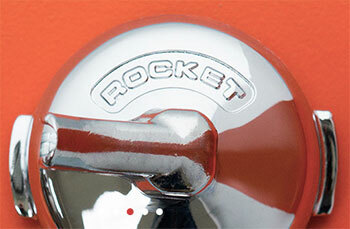 "with a rocket espresso machine in your kitchen, you'll be faster" #fact. over the years, on each occasion that another addition to the world of cycling apparel comes along, i have offered the latest kid on the block the space to explain what brought them to what i consider an all but saturated market. though i may be guilty of over generalisation, many have cited the apparent lack of 'just what i was looking for' in the shops as at least one of the reasons for strking out on their own. at one time in the last couple of decades that may well have been the truth, but nowadays, if you can't find something remarkably close to your ideal jersey or pair of bibshorts, then you must be ruddy hard to please. i'd be tempted to say the same thing about coffee, if only the situation were as simple as choosing a decent jersey. i'd be fibbing if i said i was perfectly well-acquainted with the international market for domestic or commercial coffee machines; i'm most certainly nowhere near that state of grace. however, i can't be the only one who's noticed that the quality of espressos emanating from the same machinery but in different cafés, varies wildly. therefore it would seem that finding the very espresso that would make your kneecaps crinkle and your eyes water, depends on a symbiotic confluence between machine and barista. since i'd imagine that the number of café owners reading is probably quite low, it seems more pragmatic that i concern ourselves with the humble and not so humble domestic coffee machine, because that would entail the above mentioned confluence being of concern to you and me. there is a small espresso machine sitting in the office kitchen from which i create a daily cup using the bog standard espresso grind from bowmore's local averagemarket. that daily cup would probably benefit greatly from my getting hold of a more pleasurable roast from the numerous mail-order outlets, but not only am i too lazy to do so, but i'm not sure the coffee machine is capable of noticing the difference. let's not mess about here; we all know just the coffee machine we'd like to have sitting in the kitchen or the bikeshed, and it's most likely one of those offered by rocket espresso milano. as evidence for this contention, prendas ciclismo featured two of the aforementioned on their stand at last year's rouleur classic and i did spend much of the evening with crinkly knees and watery eyes after being served the ultimate cup by orica's christian meier. the surprising part, to me at least, was learning that the owner of said company, andrew meo, is in fact a new zealander, despite that last part of the company name mentioning milan in italy. how did a kiwi come to be in charge of one of the world's most outstanding espresso machine manufacturers? "My wife and I owned a restaurant and coffee roasting business in new zealand, where we were also importers of an Italian brand of coffee machine. We learned that this company was experiencing financially hard times, despite the quality of the machines on offer. so my business partner and I flew to Italy and made an offer for the company. 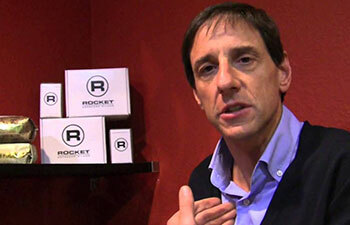 They accepted, we sold up and some ten years ago moved to Italy to operate what is now Rocket Espresso Milano." though i and several others have tentatively examined the connection between cycling and coffee, pretty much without ever coming to anything like a logical conclusion, there's no denying the connection exists nonetheless. one need only observe the village départ before each stage of the tour de france to note that more than just a handful of riders are wont to enjoy a strong espresso or two prior to heading off for a day of purgatory in the saddle. 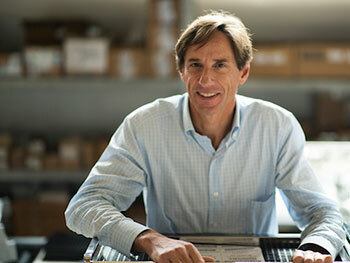 rocket espresso's connection with cycling, stems from andrew's own successful past as a competitive cyclist ("I'm 55 now and still too stupid to stop competing.") having been a onetime masters champion in italy. "In 2009, in the 100th year of the Giro d'Italia, I suggested that we make one-hundred special edition coffee machines engraved with each winner to date, pink detailing and in celebration of Denis Menchov's victory in Milan. Those sold out quite quickly and the connection with cycling was established." 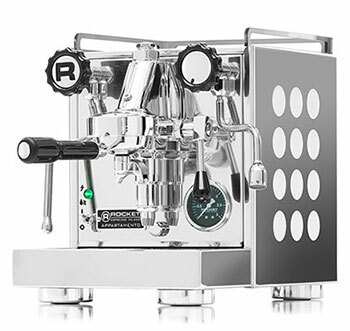 however, one of the initial attractions of owning a rocket espresso machine has to be the aesthetic as well as the potential for a great cup of coffee. in much the same way as my finding those chunky, black dslr cameras advertised in the colur supplements impressive, despite displaying no predilection for taking photographs whatsoever, i just know that at some time in the near future, i need to own a rocket espresso machine. on the basis that you never get a second chance to make a first impression, is the aesthetic of the machines every bit as important as the engineering? "In a word, yes. The engineering hasn't altered much since Faema introduced the E61 in the early 1960s, though there have been evolutionary improvements over the years, but we want our machines to look every bit as good as they perform." obsessed as we are with the misguided thought that espresso was invented purely for cyclists, it was intriguing to learn that cycling is, in fact, a very small part of andrew's business. "There are many individual world tour cyclists who have bought their own machines and we've made branded machines for Mavic, Pinarello and Sagan's Bora-Hansgrohe amongst others, but the market for espresso is far larger than just the peloton." "He's right enough. I don't remember where I saw it, but with the rosa pressure gauge, all the winners up to 2009 engraved on the side panel and a tricolour stripe detail on the back panel, I had to have one. I had a lever operated Gaggia at the time which I'd bought on one of my road trips to Italy, but the coffee quality was hit and miss. I was suprised to get a reply to my request from Rocket in English; I had no idea that Andrew was a partner and furthermore, that he was a keen cyclist with a decent pedigree in the sport. "Anyway, he was already aware of Prendas Ciclismo and a deal was struck. The machine duly arrived and I had a heap of ongoing questions for him, which he patiently answered, but suggested that I visit the factory when next in Italy. Rocket is less than an hour's drive from Santini and nearer another of my suppliers, so I dropped by on a visit. 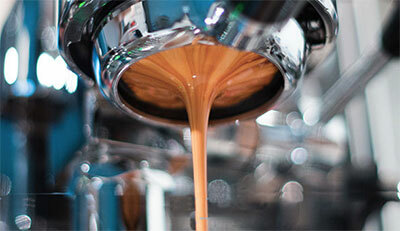 "I was given a factory tour and I thought that the ethos of Rocket Espresso was similar to ours. We had lunch and got on well. Lunch was repeated on several occasions over the years and we kept in touch with the occasional email. "Sometime around 2013, suffering with an overload of the constant references to cycling and coffee culture by many who had only recently discovered one or the other, or both, I thought that it might be good to involve the two companies with a decent heritage in both. So I asked Andrew if he would be interested in a Rocket branded jersey. He was up for it, as it took away the need for him to justify just such a project to his business partner. After all, they're in the espresso machine business. "I was keen to offer a royalty for use of the name, but he declared himself happy with a set of kit for his son and himself plus a few bits for associates. Andrew said, if I was insisting, we could donate to a charity that all parties were happy with. I tentatively suggested the Dave Rayner Fund, all the while thinking that it benefiting British riders only might be a deal breaker. But all at Rocket were happy so I figured that a fiver a piece would see a total of £10 donated to the fund for each garment sold. We do NOT get a price break from Santini, so it's one of those philanthropic gestures; profit is not the be all and end all." from andrew's point of view, he says putting money into cycling has very little to do with marketing. reflecting on his previous statement that the sport is a very small part of their considerable market, the knowledge that they support an under 23 italian cycle team is more a case of "Putting something back into a sport that I've happily competed in for many years." you can see why mick tarrant considers each company's philosophy to be quite similar. it is hard to think of a manufacturer of any product who is not as subject to the whims of fashion as any other. for instance, andrew's views on the current predilection for adding disc brakes to road bikes is that it's a trend that might not be one to last more than a decade. 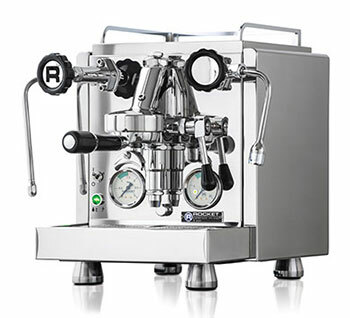 as to coffee machines, "With care and attention, a Rocket Espresso Machine will last twenty-five to thirty years. We build our product to last; the engineering has scarcely changed since the 1960s. All the internal metalwork is of brass or copper, bolted and screwed together by experienced staff and each machine is tested thoroughly before despatch." no doubt there has been the occasional fashionable addition to the rocket persona over the years, but espresso is pretty much still made in the same manner as has been the case for the last half century. thankfully rocket's take on that tradition still makes your knees crinkle and eyes water. just ask christian meier.